It already has become an annual tradition for Boston area night photographers to go camping to Boston Harbor Islands. We typically go to Lovells but this year, excited for the newly opened yurts, we headed out to Peddocks Island. It is one of the largest and most diverse islands in the harbor - featuring historic structures, hiking trails, cottages, and rocky beaches. 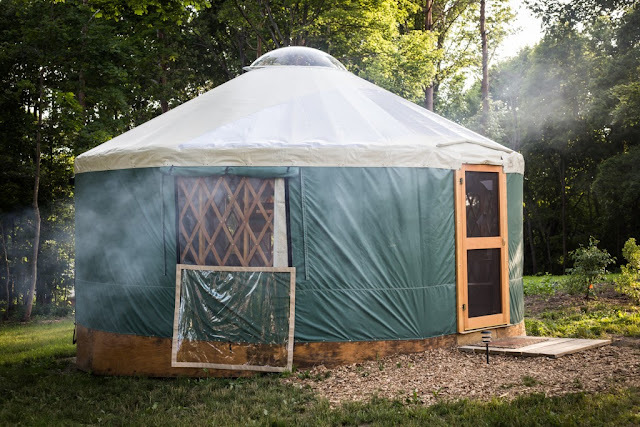 The yurts are great - enjoy commodities like bunk beds, electricity and cold water from outside pump! A big part of this camping trip is night photography. Being in a dark environment during full moon away from the city allows us to create long exposures lit solely by moonlight. 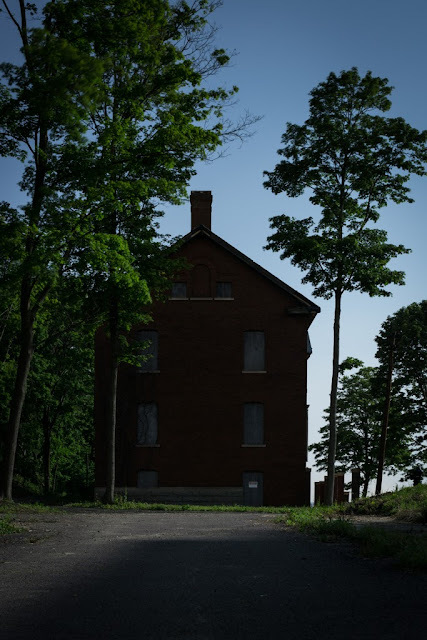 The structure below is one of the eleven buildings remaining after Fort Andrews renovation work was completed in 2011.